This article is in association with Greater Shepparton City Council and the GSCC Active Living Department. 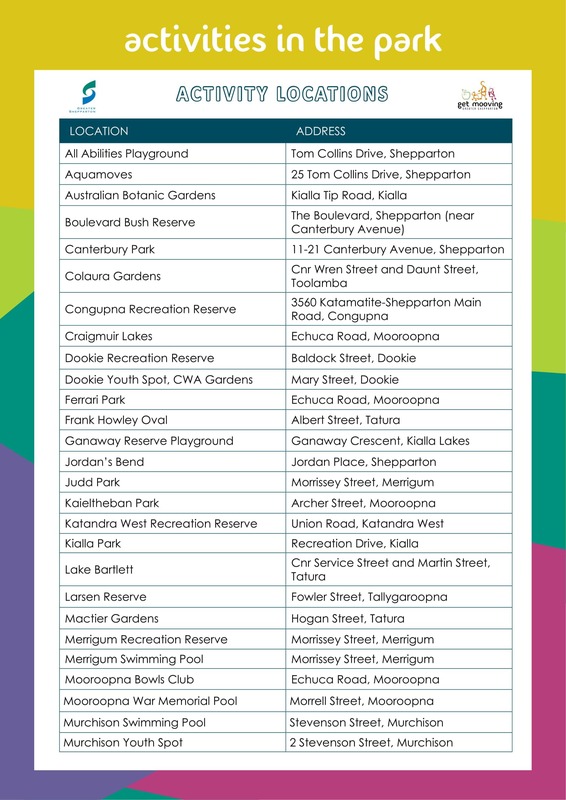 No matter where you live across Greater Shepparton, there's a Get Mooving #ActivitiesInThePark event happening near you soon! 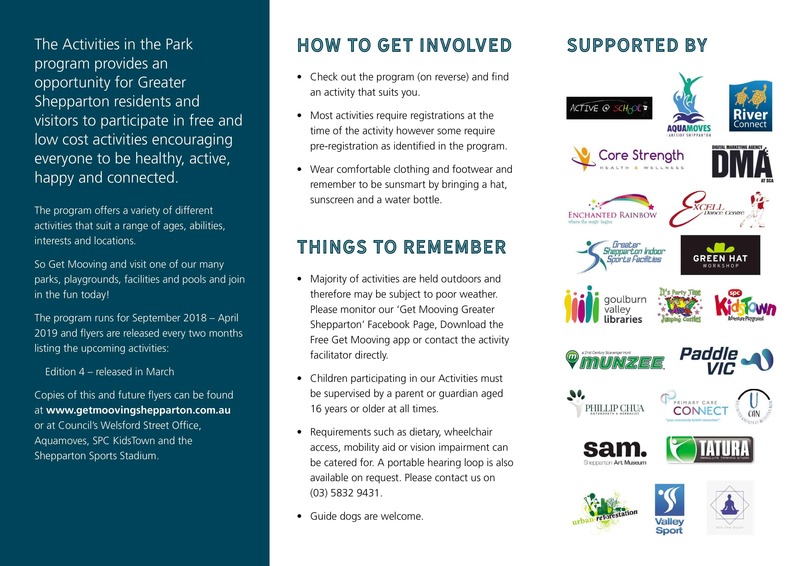 The program utilises the region’s parks, pools and outdoor spaces as an opportunity for locals and tourists of all ages and abilities to participate in more than 200 free and low-cost outdoor activities. 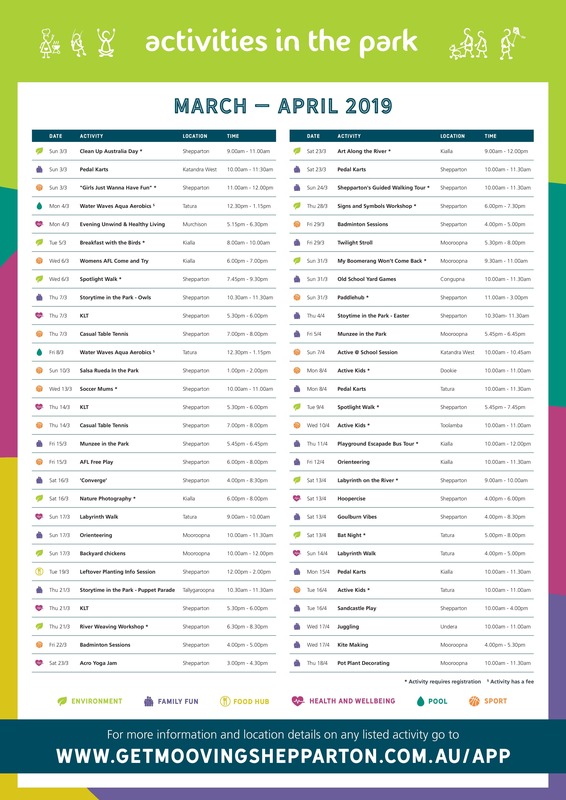 Here's the full list of #ActivitiesInThePark events on near you between NOW and APRIL. Updates on the activities can be found on the free Get Mooving App or at the #GetMooving Greater Shepparton website and socials.